There are no additional extras for this tour type. Absolute Airlie Guided Bushwalking Tours provide a unique experience for visitors of all ages. Escape the crowds with this nature based half day activities catering to small groups. 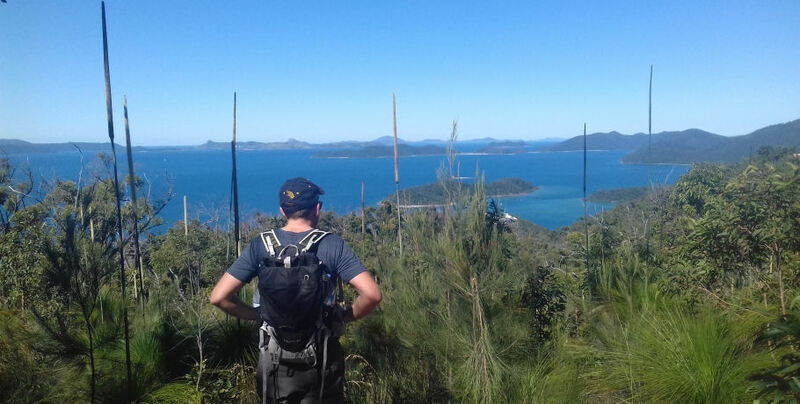 See the Whitsundays and Airlie Beach from a different angle as you trek through the beautiful rainforests and arrive to amazing lookouts, secluded beaches and waterfalls! 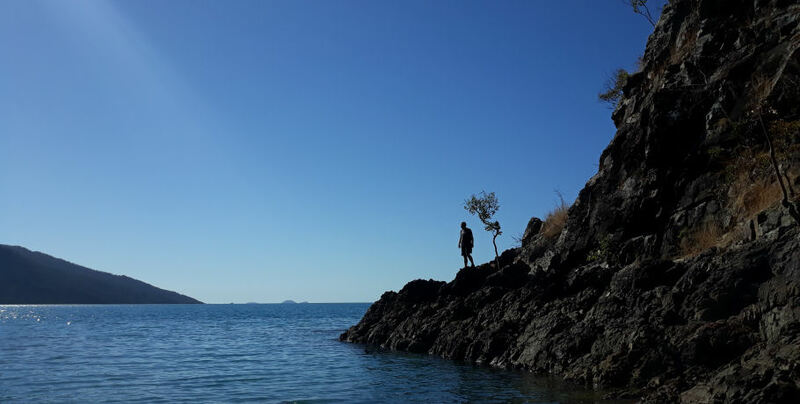 With multiple tour options to choose from, you are sure to find the perfect National Park experience in the Whitsundays. Check out our ‘Tour Plan’ for further information on tour options and times. The perfect way to start your day – Hike, Stunning Views & Breakfast! 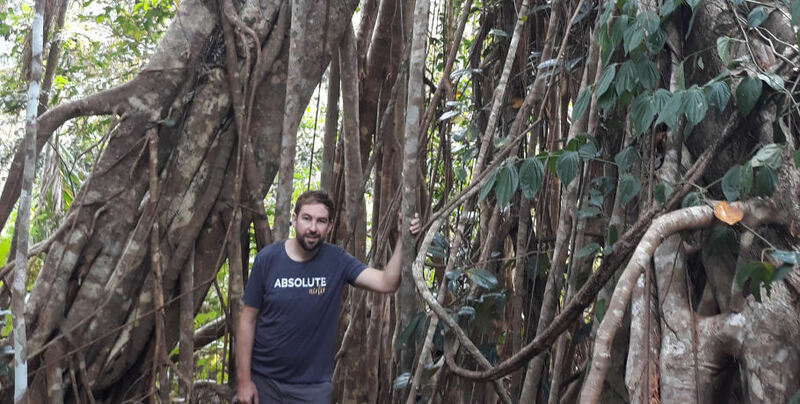 Leaving Airlie Beach as the sun is rising, making your way through the bush, stopping to rest and take in the spectacular views of Airlie Beach & Cannonvale along the way to Honeyeater Lookout. Once you reach the peak, you can stop to appreciate the stunning vistas over Airlie Beach, whilst enjoying a light breakfast. Sitting silently as the sun casts its early morning rays out across the Whitsunday Islands. Once you have done your best to capture the magic that is sunrise from Honeyeater Lookout, you will then start the decline downhill. The perfect start to your day completed in style! *Tour departure times vary slightly according to sunrise (begin walking just after the sun rises so you’re not walking in the dark) - your time will be confirmed upon booking. The simplest, most accessible and possibly the most breath takingly beautiful of our half-day walks. 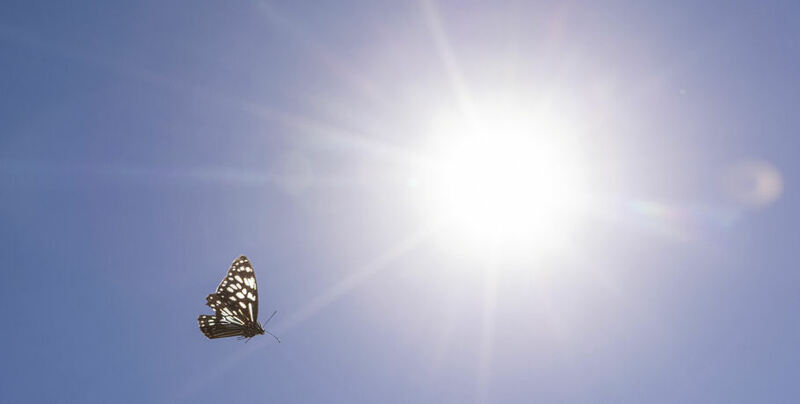 This relatively flat track leads you past glimpses of the coastline, through the seaside landscape and scrub that is filled with birds and butterflies. 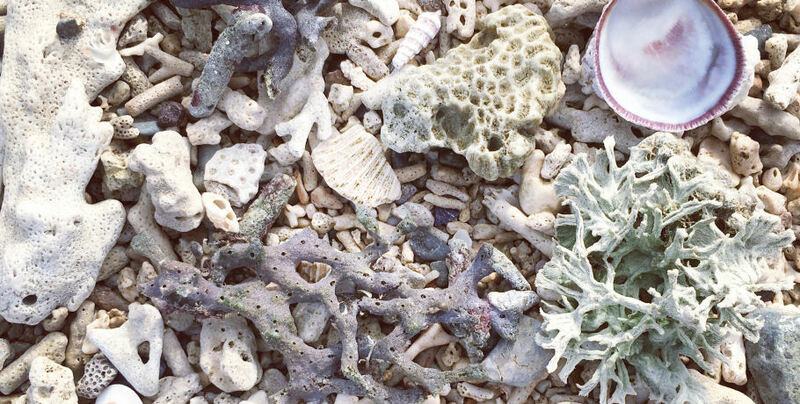 Before long, you'll be stepping off the track and onto the sun-filled Coral Beach. 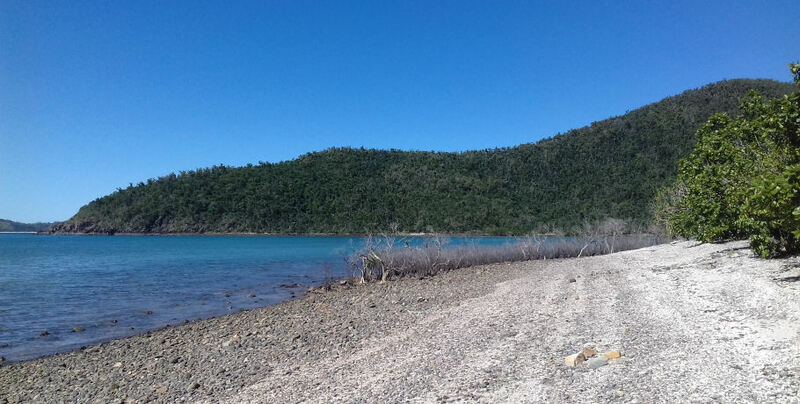 This top secret, isolated beach will take your breath away with its wealth of white coral, tree-lined shores and glistening azure waters with views to the Whitsunday Islands. 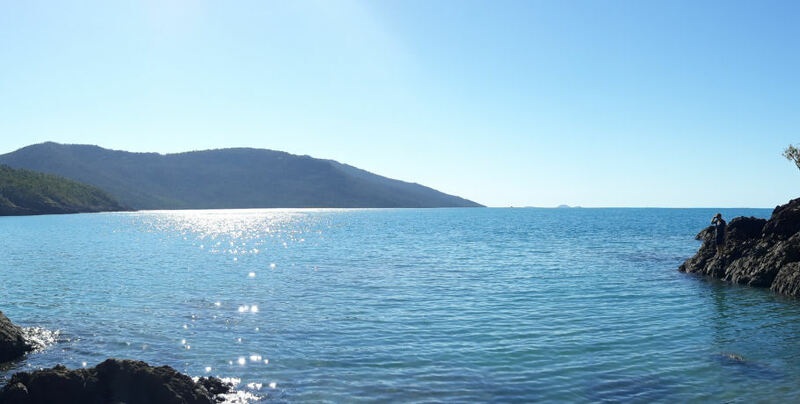 Here, you may choose to relax and explore the beach, or you may choose to continue along the additional 20 minutes up to The Beak lookout, for a 360 degree view of the Whitsunday Islands! 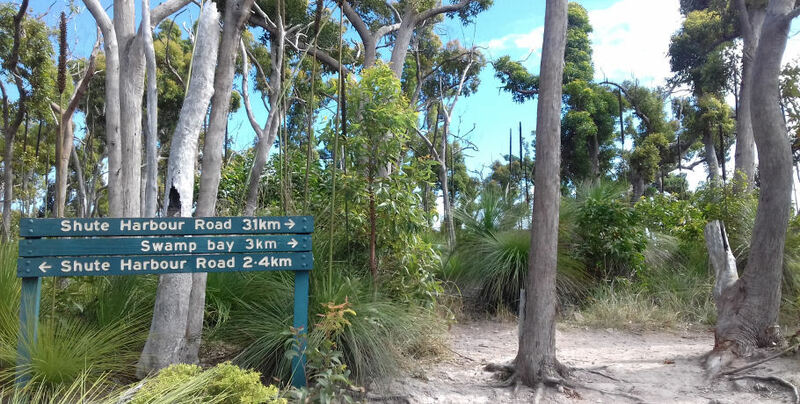 You will also be driven to a local lookout for a unique photo opportunity of the original port of Airlie, Shute Harbour, and will refuel with a light lunch*. Most of the track is flat with a moderate uphill to The Beak lookout and moderate uphill on the return walk back. This is a family friendly walk. Recommend for those looking for a relaxed day, families with young children, and those not confident with more vigorous, uphill treks. *Please note, for the morning tour we'll have lunch after the walk & beach visit. For afternoon tours, lunch at Shute Harbour will be the first stop. If you are looking for the perfect way to spend a day - this walk has it all... You wanted to get out, stretch your legs and breathe in the fresh air? 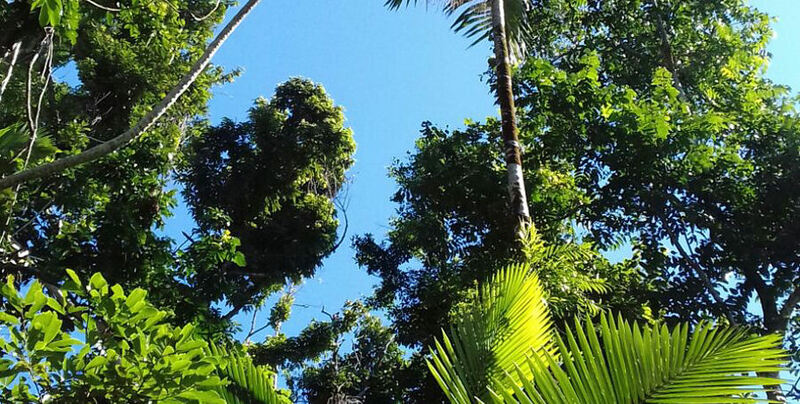 Fancy some good company, rugged rainforest and some of the best views around? This is the tour for you! 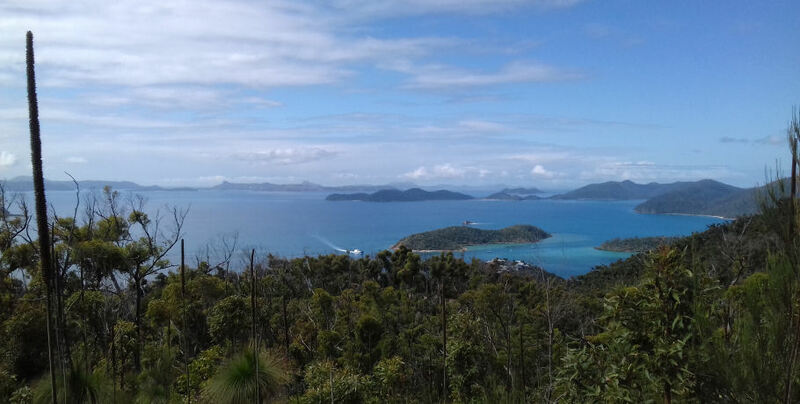 Your walk will start with a steady climb up to Mount Rooper’s spectacular summit with 360-degree views of the Whitsunday Islands. 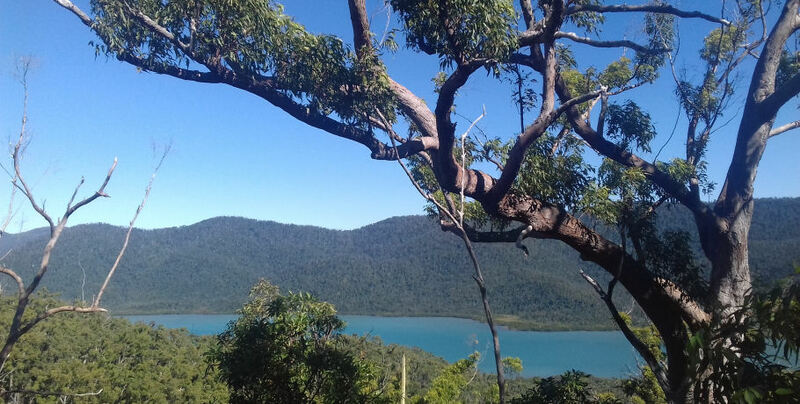 From the summit you will take an easy walk through the beautiful national park to Swamp Bay. An untouched treasure, you are sure to enjoy! Along the Conway Outlook there are plenty of spots to stop, catch your breath and take in the spectacular vistas! The track gets sharper as you climb to the top of Mt Rooper. Well worth the effort with stops to take a rest. 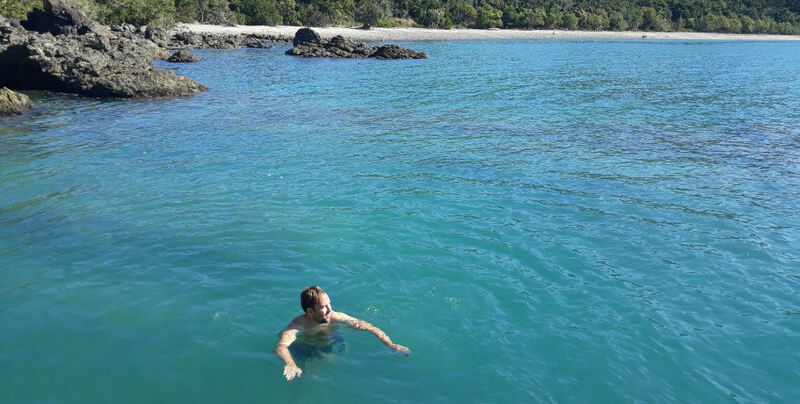 Its downhill from there, to Swamp Bay for morning tea and some exploring. 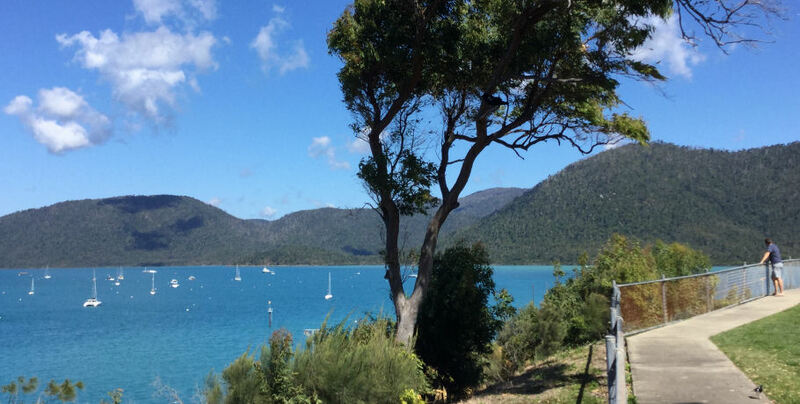 This tour also includes a photo opportunity at Airlie's original and most scenic port, Shute Harbour. 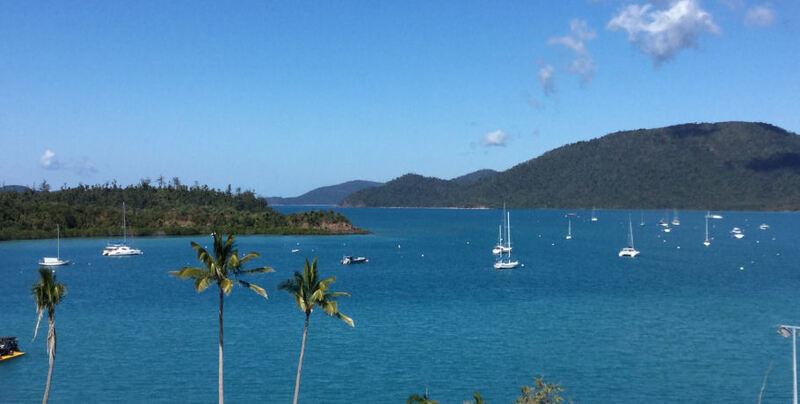 This tour will take you out of Airlie Beach and in to the Conway National Park. 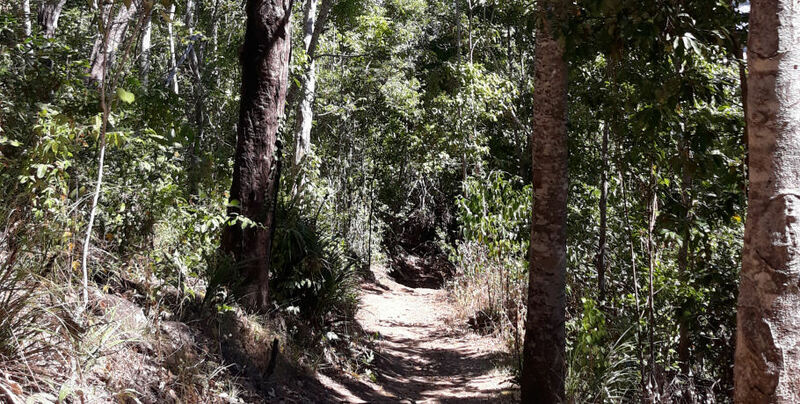 As you hike in to the ancient rainforest, you’ll take a detour along the Kingfisher Circuit. Where you may even spot a Paradise Kingfisher! You will take a slight diversion down, Wompoo Way - a tranquil clearing with a beautiful creek and the chance of spotting a Wompoo Fruit Dove or Ulysses Butterfly! A picture-perfect location for lunch! Once you have enjoyed your picnic lunch and taken a moment to rest, it’s an exhilarating uphill walk to complete the circuit. After a short drive, you'll find yourselves at Cedar Creek Falls. A naturally perfect backdrop for an afternoon of watching turtles, looking for that perfect angle to capture the waterfall on camera or enjoying a refreshing swim beneath the waterfall*. *Please note, the amount of water flowing at the waterfall is heavily dependent on the season. Please be prepared for no water to be falling throughout dry season. There is however, always water at the base for swimming and visits from friendly turtles year-round (and especially when the falls are quieter during dry season). Whenever possible, we will gladly take last minute bookings made over the phone. Please call +61 481 820 444 to confirm your space. Tours may require a minimum number of bookings in order to run. In the rare event of minimum numbers not being reached, management reserve the right to cancel the tour and clients will be offered an alternative day or tour (if available) or full refund. In the event of tour changes or cancellations due to extreme weather conditions or track closures, you will be notified by Absolute Airlie management and a full refund OR exchange to another tour or date will be arranged. For cancellations, please contact Absolute Airlie at least 24 hours before your scheduled tour to avoid incurring a 100% charge. No refunds will be processed for no-shows on the day of the tour.